The 2018 Emmy nominations were announced, which means there are a lot of happy and disappointed people walking around Hollywood right now. As per usual, the nominated shows, actors and professionals are a mixed bag of deserving folks...and old favorites. Previous winner Tatiana Maslany made a comeback for the final season of Orphan Black, Ted Danson and Maya Rudolph got deserved nominations for The Good Place and Yvonne Strahovski broke through for her work in The Handmaid's Tale. But of course there were snubs. What does Mandy Moore have to do to get an Emmy nomination? Break hearts on a twice-weekly basis? She's already doing it on a weekly one on This Is Us! 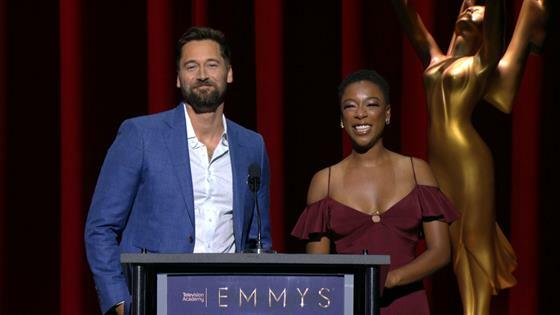 Click through the gallery above to see all the 2018 Emmy nominations snubs and surprises. The Emmys air Monday, Sept. 17 at 8 p.m. on NBC.